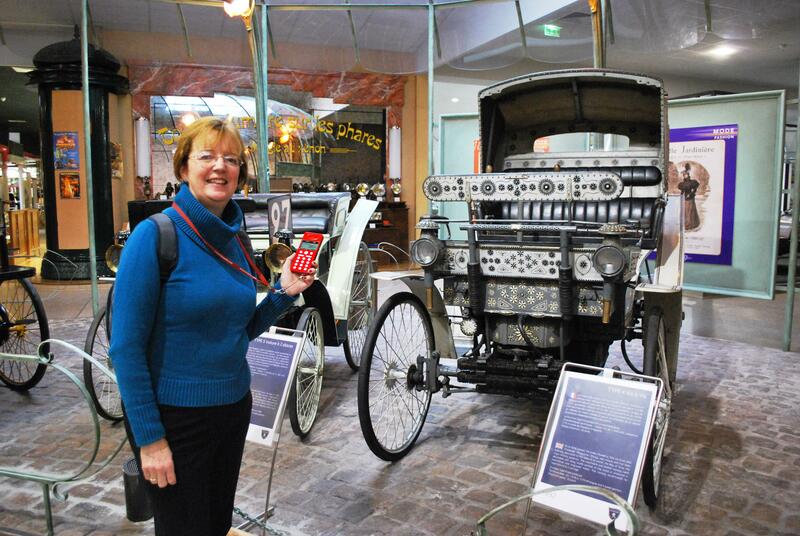 This week we drove to see the Peugeot Museum in Sochaux. It was a very different type of museum than the Volkswagen Museum in Wolfsburg, Germany. 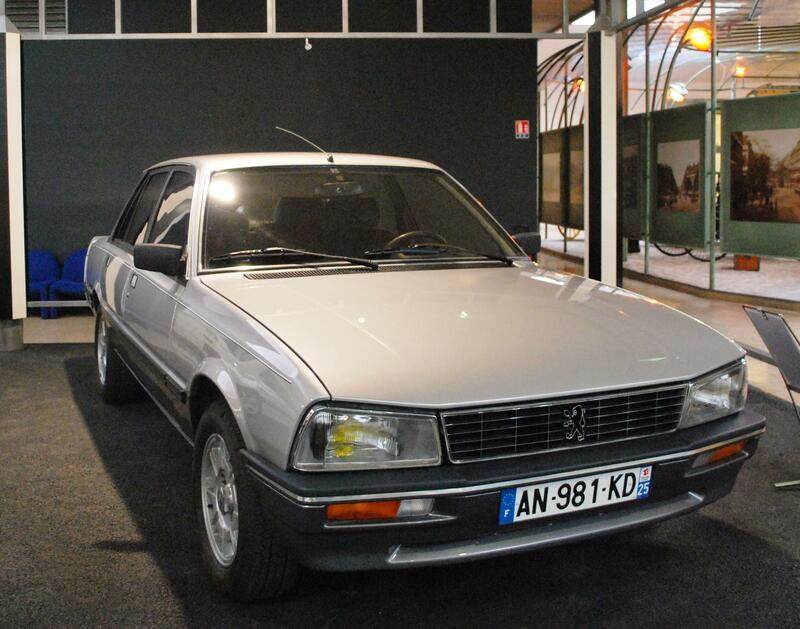 This museum is devoted to the Peugeot automobile business. The museum was founded in 1988 next to the Company’s huge industrial site at Sochaux, high up in the hills, quite close to the Swiss border. 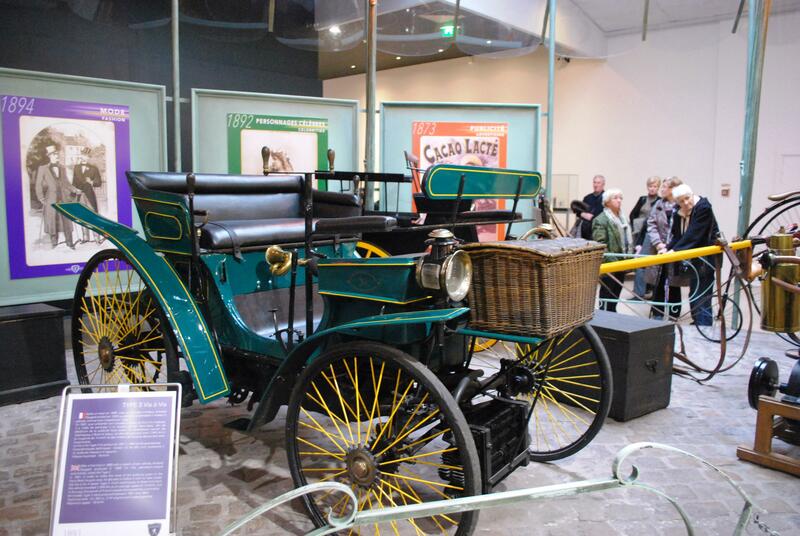 The first Peugeot automobile was built in 1891, so the museum presents an unbroken view of the evolution of the automobile, virtually from its beginning. You can see a horse drawn cart and alongside it one of the early cars which looks exactly like the cart except it has an engine at the back, a steering wheel and controls but no shafts for the horse. 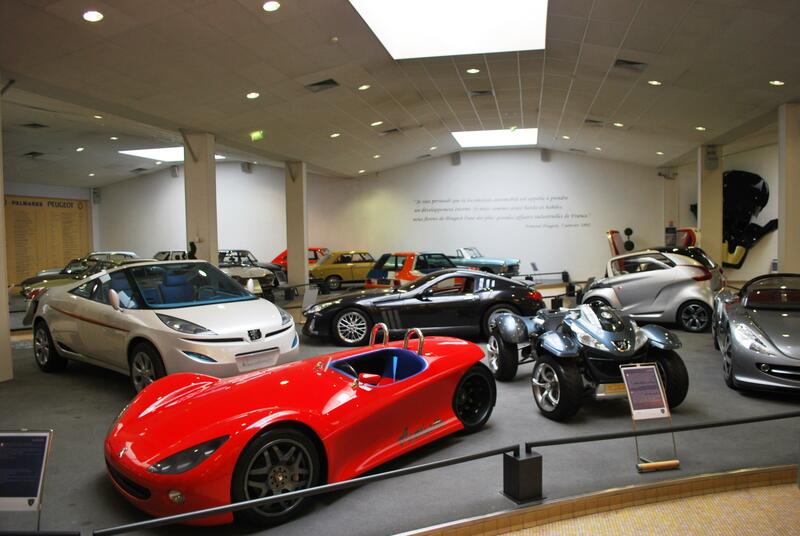 This museum is devoted to the history of the Peugeot family business and Peugeot cars from 1891 to the latest concept cars. It’s actually unfair to compare it to the WV museum in Wolfsburg Germany. Both museums have very different aims. Peugeot’s is to show what the family has achieved over 200 years and how cars evolved and the important role that Peugeot played in this process, as one of the earlier largest manufacturers of cars. It is also to show the leading edge role PSA Peugeot Citroen is now playing in developing new car technologies. VW museum aim to show the size and breath of its business (it’s now the second largest manufacturer of vehicles in the world after Toyota and ahead of General Motors in USA after a humble start in 1937 manufacturing Beetle cars). The museum is on a much larger site and has more a theme park style to it. Not alone does it have a car museum, showing samples of all the vehicles made over the years by the brands it now owns, it also has a beach bar complete with sand and pedal boats, large lakes with water features and it produces a spectacular sound and light show at night. The site has numerous bars and restaurants and new car collection area featuring a glass tower stacking cars, waiting collection. It also has sales show rooms for all the makes that make up the VW Company at this stage- for cars WV, Audi, Bentley, Bugatti, Lamborghini, Porsche, Seat and Skoda. For trucks Man, Scania and Neoplan. So two very different companies and museums but we enjoyed both and have learned a lot about the evolution and manufacturing of cars. Most of us use cars every day and take them for granted but they are now very complex products that have evolved over the last 125 years. (There is no guarantee of the accuracy of facts quoted in this article some of the information has been sourced from Wikipedia articles and the rest from AG observations). This entry was posted in On the Journey, Places visited and tagged Audi, Bentley, Bugatti, Dongfeng Motor Company in China, family business, Lamborghini, Man, Musée l'Aventure Peugeot, musuem of the peugeot adventure, Neoplan, Peugeot, peugeot 504, Peugeot automobile, Peugeot automobile business, Peugeot cars, peugeot cycles, Peugeot Museum, Porsche, PSA Peugeot Citroen, Scania, Seat and Skoda, Sochaux, the bettle car, the first peugeot car, the Peugeot Family, Volkswagen Museum, WV, WV museum in Wolfsburg Germany. Bookmark the permalink.